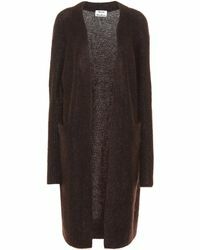 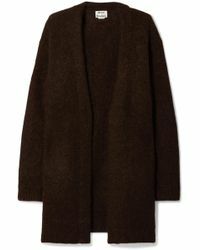 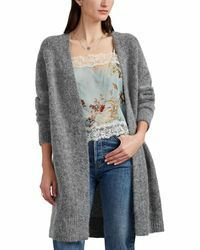 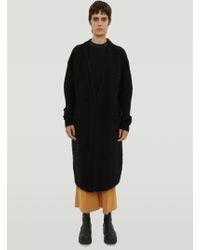 For knitwear you can wear all year round look to Acne Studios' Raya cardigan. 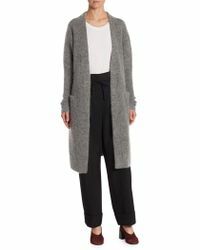 With an open front, long sleeves and ribbed pockets, cuffs and hem, this thigh-length piece is finished with offset side seams to give the back a slim appearance. 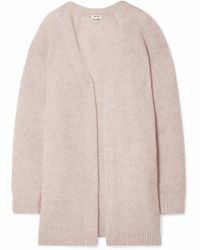 Crafted from a mohair and wool-blend, this everyday essential comes in a variety of wearable shades including forest green, light gray and classic black. 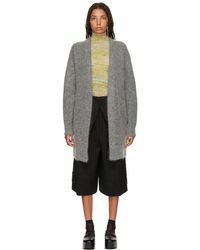 Proving high-quality separates are the staple of any wardrobe; wear yours with everything from wide-leg pants and a roll-neck in winter to a mini dress in spring.